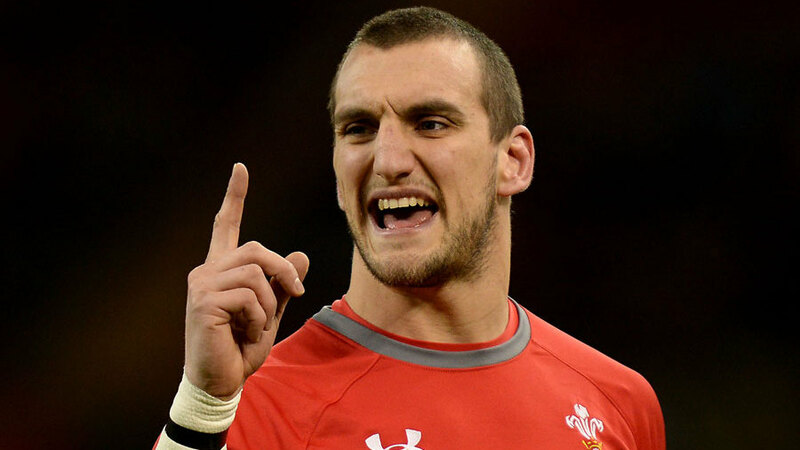 Dusautoir v Warburton: Just who will be No.1? If you want the perfect template for a modern open-side flanker you need look no further than the two men who will lead their teams on to the field at the Stade de France on Saturday evening. French skipper, Thierry Dusautoir, might have No.6 on his back more often these days - he is, after all, 33 years old and perhaps not quite as quick as he was - but he is naturally a No.7 and still plays like one. His battle with Welsh captain, Sam Warburton, to top the tackle count and win the most turnovers will be one of the deciding factors as both countries try to keep alive their hopes for this season's Six Nations Championship. This is certainly not a great vintage for French or Welsh back-play so the battle for dominance at the breakdown becomes even more important and these two rugby leviathans have both shown they are capable of turning a match almost single-handed. I shall never forget Dusautoir in the 2007 Rugby World Cup quarter-final against New Zealand in Cardiff. I was commentating and although we did not have instant access to the detailed statistics as they do today, it was soon obvious that the French tackle count was pretty special. When we got the full analysis after the final whistle it was phenomenal. The French had made 178 tackles against the All Blacks' 36 and Dusautoir had personally made 38 - two more than the whole New Zealand team combined. As if that were not special enough he still had the energy and pace to run in a long-distance try early in the second half to secure the 20-18 victory. I shall also never forget the sight of the New Zealand fans dressed to a man in what was now a fitting, mourning black sitting on the pavements around the Millennium Stadium too devastated to even think of drowning their sorrows. 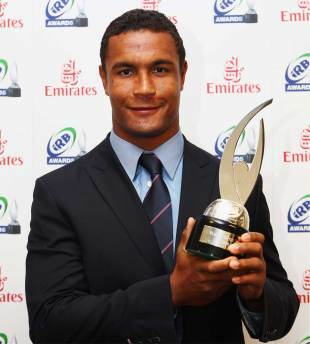 For that performance alone, Dusautoir was nominated for the IRB World Player of the Year award. He has always saved his best for the toughest assignments which usually means New Zealand - leading France to a famous 27-22 win over them in Dunedin in 2009 and then scoring another try as France almost spoiled the party at the 2011 World Cup Final. This time he went one better and was voted World Player of the Year. Warburton's journey really began at that same World Cup when, having been made captain (to many people's surprise) at the age of 22, he responded with his own tour de force in the opening game against South Africa. Springbok flanker Heinrich Brussow had a fearsome reputation at the breakdown and in defence but found himself totally outplayed in the opening pool match, Warburton topping the tackle count with 23 and winning six clean steals. He went from strength to strength and Wales were suddenly seen as real contenders until it all ended in tears with Warburton being sent off against France in the semi-final for a tip tackle most people thought warranted nothing more than a yellow card. Nevertheless, Ian McGeechan amongst others voted him player of the tournament. On Saturday he equals Ryan Jones's record when he captains his country for the 33rd time. I suppose it should come as no surprise that they are remarkably similar in many ways. Both are 6ft 2in, which now seems to be about the ideal height. Richie McCaw is truly exceptional at 6ft 4in but as players such as Australian captain Michael Hooper have proved over the last couple of seasons being able to get close to the ground and stay on your feet at the breakdown is vital if you are to win turnovers.Warburton is about a stone heavier but Dusautoir probably edges him on pace and his power in the tackle is second to none. It is also fascinating that flanker now seems to be the favourite position from which to skipper - McCaw, Hooper, Warburton, Dusautoir, Robshaw - when they are some of the busiest players on the field. That seems to indicate that captaincy is more about 'follow me' these days rather than deciding the tactics - something we should perhaps not be surprised about with the coach's influence becoming ever more dominant so that messages are carried on to the field at every stoppage. I suspect Dusautoir and Warburton share a similar temperament as well - both are lauded by their coaches for being model modern professional rugby players - always in control but because of the position always on the edge as well. Both know Saturday is the last chance to really kick-start the season. Lose and all momentum going into the World Cup is gone. Win and there is everything to play for. Dusautoir will probably start with a slight advantage because I expect France to be on the front foot at the set pieces but Warburton knows that and will be trying to wrest the initiative from the first minute. The tackle count could be spectacular once again and whichever colossus wins the battle at the breakdown will almost certainly go home with the spoils.